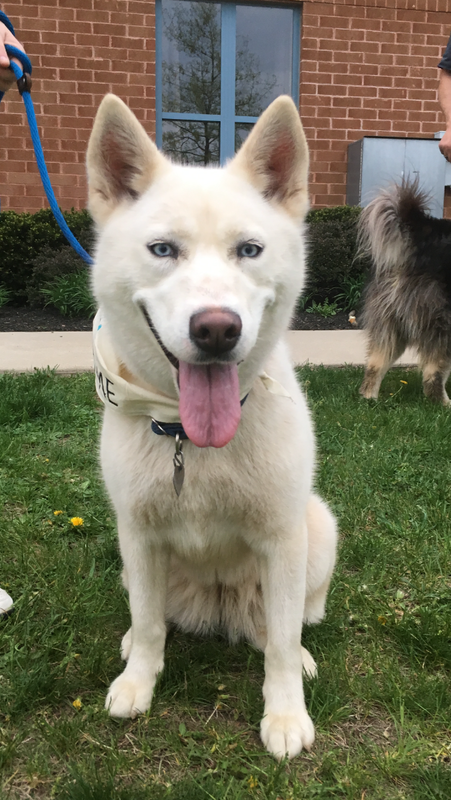 Khaleesi is a small Husky mix who came to MaPaw because she was too intimidating for the Golden Retriever in the house. Khaleesi is wonderful with people and loves kids. She can be picky about her playmates. She does love to romp around with both Al and Mercy in the play yard so once she finds a playmate she likes, she is all about the play!